Hill Country Elegance in Beautiful Mountain Springs Ranch. This single story custom designed home has only had one owner who designed and cared for every detail. The huge front porch that overlooks gorgeous sunsets hosts a welcoming front door. Through that door opens a huge Great Room with an Office to the left and a Formal Dining room to the right. Big eat in kitchen that over looks a rolling field of Oaks with a 3 season enclosed porch that allows enjoyment without the mosquitos. A spacious master suite and ensuite that is a retreat in itself with large walk in shower and soaking tub. Guest or family enjoy their own wing of the house with two bedrooms, ample storage and family room.&#xD;&#xA;Kick off shoes and come home... this one will go fast! Courtesy of JB Goodwin, REALTORS(R). 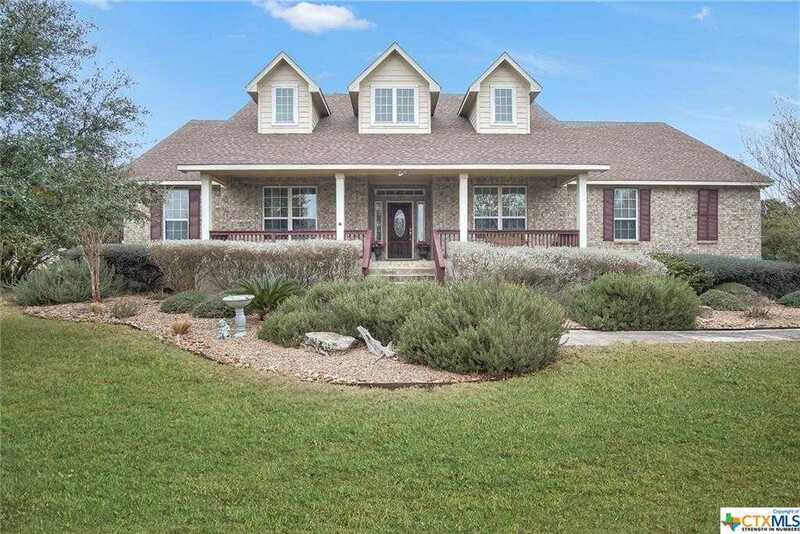 Hill Country Elegance in Beautiful Mountain Springs Ranch. This single story custom designed home has only had one owner who designed and cared for every detail. The huge front porch that overlooks gorgeous sunsets hosts a welcoming front door. Through that door opens a huge Great Room with an Office to the left and a Formal Dining room to the right. Big eat in kitchen that over looks a rolling field of Oaks with a 3 season enclosed porch that allows enjoyment without the mosquitos. A spacious master suite and ensuite that is a retreat in itself with large walk in shower and soaking tub. Guest or family enjoy their own wing of the house with two bedrooms, ample storage and family room. Kick off shoes and come home… this one will go fast! Please, send me more information on this property: MLS# 369015 – $450,000 – 2009 Comal Springs, Canyon Lake, TX 78133. I would like to schedule a showing appointment for this property: MLS# 369015 – $450,000 – 2009 Comal Springs, Canyon Lake, TX 78133.